How to reduce computer noise? The availability of high-quality cooling system is necessary for stable operation of the important elements of the personal computer. To improve cooling of devices is recommended in cases, if the temperature exceeds recommended norms. Start by cleaning the cooling fan installed inside the system unit. Unplug the power cord from the computer. Open the system case, removing it and the left wall. Remove all coolers, pre-disabling the right loops. Moisten cotton pads in a weak alcohol solution and wipe the fan blades. It should be noted that data manipulation will allow you to operate the devices with original power output. If you need to significantly improve the cooling of the computer, you can purchase other fans. New coolers should have more power than the established ones. The main characteristic fan – the speed of rotation of the blades. Naturally, a cooler with a small diameter needs to spin much faster to provide quality cooling. Consider this feature when selecting new fans. Before installing the new cooler be sure to clean the radiators from dust. In modern computers the data elements are installed on the CPU and are present in the design of the adapters. Don't forget to clean dust from the computer's power supply. Test for the correct fan on the rear panel of the system unit. Ideally, there should be installed two big cooler. Place the fans so that the blades rotate in opposite directions. This will ensure stable air convection between the external environment and the internal area of the body. Remember that fans are not designed for air cooling. Do not install the system unit in the vicinity of the heating elements. Spend time cleaning the vents. 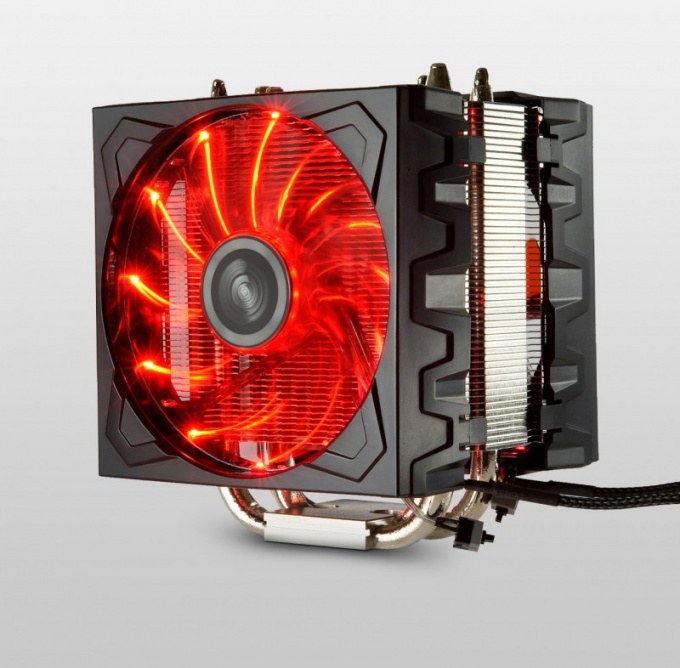 Install the "water" cooling, if the normal coolers do not cope with the task.